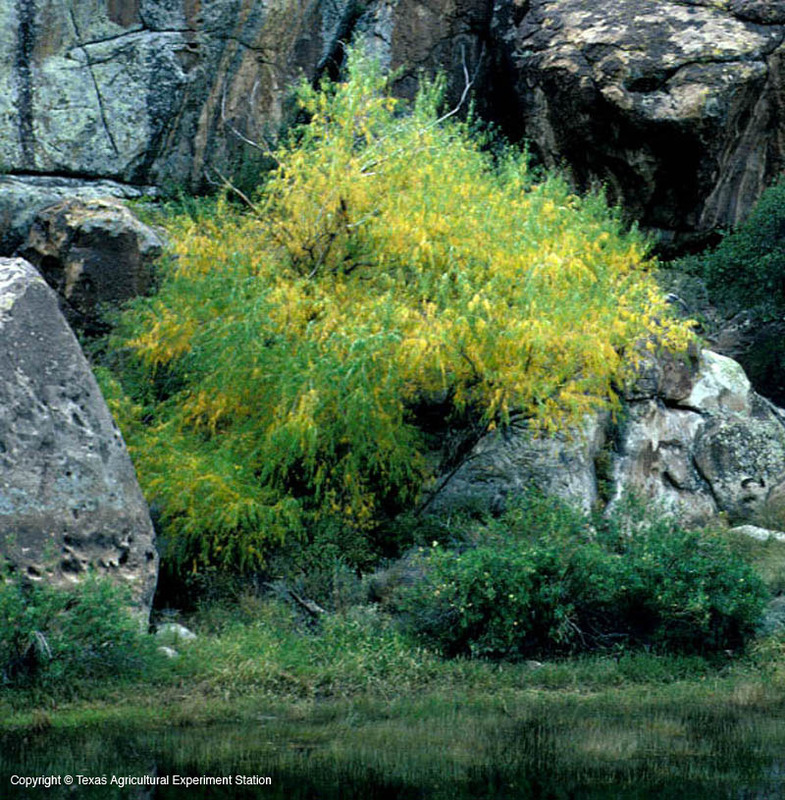 Black Willow is found in all areas of Texas where there is standing water, a stream, or a dry stream where water may accumulate. 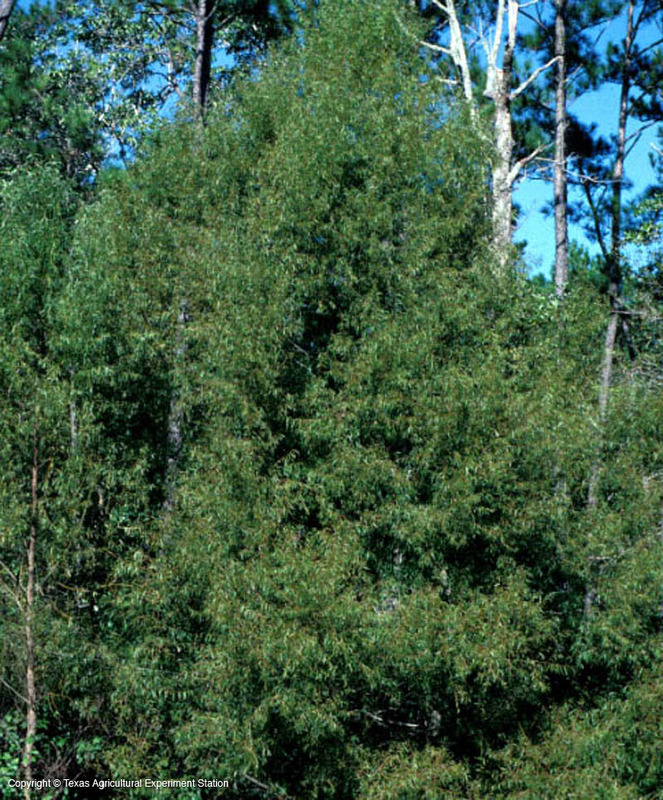 It is a fast-growing tree, and useful for erosion control on steep banks where moisture is avalable. However, the extensive shallow roots can clog drains and break pavement in urban residential sites. The wood is weak and brittle, subject to damage in ice storms, and the tree is short-lived. The light texture of its leaves make dappled shade underneath. Black Willow can be distinguished from the common Weeping Willow, S. alba or S. babylonica, by the fact that its branches are upright and do not "weep." Height: 30 ft. to 50 ft. in landscapes, rarely 100+ ft.